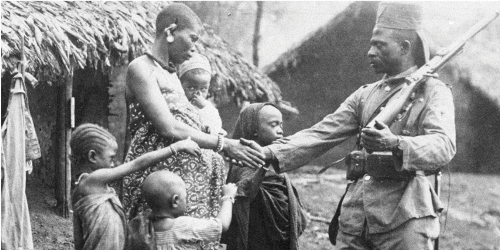 17.12.2014: Violent Intermediaries - African Soldiers in German East Africa, Berlin - INISA e.V. The askari, African soldiers recruited in the 1890s to fill the ranks of the German East African colonial army, occupy a unique space at the intersection of East African history, German colonial history, and military history. Violent Intermediaries recovers and reconsiders the origin and role of these men, and of colonial soldiers more generally. Lauded by Germans for their loyalty during the East Africa campaign of World War I, but reviled by Tanzanians for the violence they committed during the making of the colonial state between 1890 and 1918, the askari have been poorly understood as historical agents. Violent Intermediaries situates them in their everyday household, community, military, and constabulary contexts, as men who helped make colonialism in German East Africa.